Welcome to this month's newsletter. I can't believe that I am celebrating my one year anniversary of running BodyBlast Bootcamp and what a year it has been! Hand on heart it's not always been easy but as any business owners out there will know, there are always going to be highs and lows. I can honestly say though that I have no regrets in taking the business on and love helping to make a difference to so many people's health, fitness but also confidence in themselves and their abilities. The past year has certainly been a learning curve. I wanted to share some of them as they are relevant in our health and fitness journeys too. 1. Don't worry about the competition, focus on your own game. 2. It's all about the journey, not the destination. 4. Know that what you are doing is worthwhile even if it can feel like bloody hard work sometimes! I am truly grateful to all our current members from the newest to the long standing bootcampers who have been with me for the whole year. 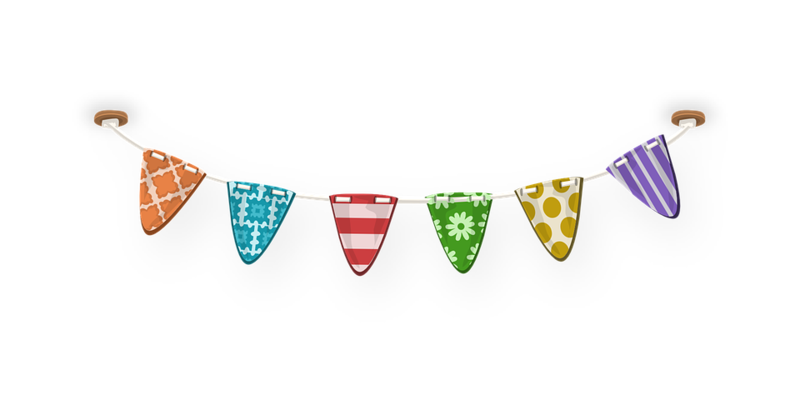 As a thank-you I will be handing out a small token of my appreciation over the next couple of weeks and will continue to do this for anyone who also reaches their one year bootcamp anniversary. What's happening at Bootcamp this month? Now that the clocks have gone forward and the evenings are lighter we can abandon the car park and single light source at Privett Park and Portchester Castle and not have to avoid the cyclists on the path running through Bath Lane Recreation ground. We are lucky to have such great spaces to use at all our bootcamps and I have lots of ideas for sessions to utilise this. From May we will return to Stokes Bay on a Wednesday evening to make use of the shingle, prom and grass area there. Return to Stokes Bay for bootcamp on Wednesday 2nd May, 6:30pm. Meeting point at Gilkicker car park. 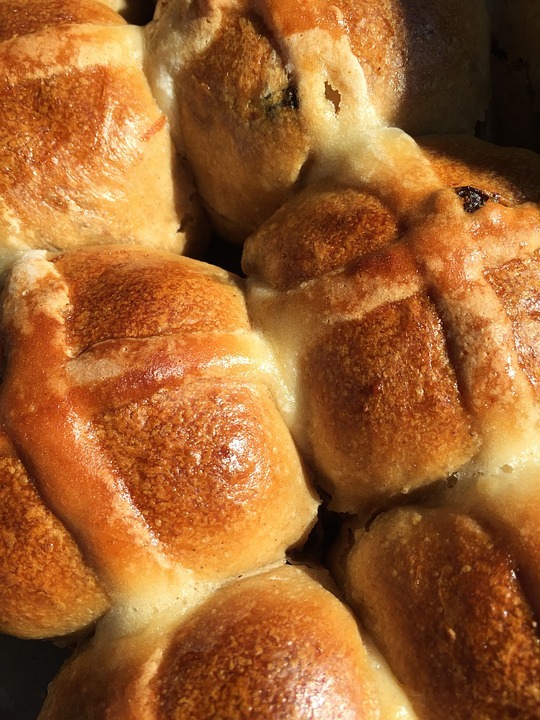 With Easter coming around there have been hot cross buns in the shops for a while now. I love a hot cross bun but if you are watching what you eat then this version makes a good alternative that'll provide slow release carbs, thanks to the oats, added fibre from the spelt flour and natural sweetness and moisture from the agave and apple. Delicious and nutritious. 1. Bring the milk to boil with the cardamom pods, cloves, lemon zest and zest of 1 orange. Set to one side and allow to cool to room temperature. 2. In a large mixing bowl add the flours, salt, oats, yeast, oil, agave or honey and beaten egg. Once the milk has cooled, remove the cloves and cardamom and pour into the bowl. 3. Mix well together until a dough is formed then place onto a generously floured work surface and knead for a good 10 minutes, either by hand or using the dough attachment of a table top mixer. It will seem like a very wet dough, but keep working it, slapping it onto the work surface to develop the gluten. It will eventually come together to form a sticky, but elastic dough. 4. Place in a lightly oiled bowl and cover with a tea towel. Leave to prove in warmish place for about 1 hour, until risen. 5. Tip the dough out onto a floured work surface and flatten slightly. Mix together the apple, cinnamon, currants and remaining orange zest and sprinkle over the dough. Knead briefly to distribute all the ingredients. 6. Divide the dough into 16 even pieces and roll into smooth balls. Arrange the buns on 2 lightly oiled baking sheets in rows of 4, about 1 cm apart. Cover with a tea towel and leave to rise for a further hour. 7. Heat the oven to 220C/fan 200/gas mark 7. In a small bowl, mix together 30g of flour with 2 ½ - 3 tbsp water, adding the water gradually until you have a thick paste. Scrape into a small sandwich bag. 8. Once the buns have risen and puffed up, cut off the tip of one corner of the sandwich bag and use to pipe crosses over the buns. Place in the oven and bake for 15 minutes, swapping shelves halfway through. 9. Meanwhile, heat the jam with 2 tbsp of water in a small pan until the jam has melted and is syrupy. Sieve into a small bowl and use to brush over the buns as soon as they come out of the oven. 10. Transfer the buns to a wire rack and allow to cool before eating. Our first workshop of the year will be held on Thursday 4th April and is all about how to improve your technique so that you can run faster and easier. The session will be held at Bath Lane Recreation ground in Fareham from 7pm till 8pm and will be taken by Louise our Portchester instructor who is a qualified running coach and has many years experience in running. All 15 spaces have been taken with 3 currently on the waiting list. If you would like to be added to the list or if you would be interested in any other running related workshops then drop me an email. I am currently organising a nutrition workshop so if you are interested in learning about what to eat for weight management, understanding and dealing with food intolerances and learning about the effects of the most common artificial additives then watch this space for further info. With Spring pretty much upon us it's time to start thinking about where you want to be by the time summer comes. Do you need some help in toning up, losing weight or training for an event? I currently have space during the week for personal training and can offer 8 sessions for £159 to bootcamp members or £199 for non members. Sessions would be either early morning, school hours or evenings after 7:30pm and you would have to travel to me at Fareham. Email me if you would like further details or to book. Thank you to Kayleigh Coleburn and Chloe Mcgough who brought friends along with them to bootcamp this month. Both will be entered into the prize draw this week and the winner announced in the private Facebook group. I have lots of flyers for distribution so if you want some to give to friends, family, neighbours or work colleagues then let me or Louise at Portchester know. The more you refer the more chance you have to win. If you have your own business and refer one of your clients who comes for a free taster session then I will promote your business on the BodyBlast Bootcamp Facebook page (which has almost 2000 likes) and in the Newsletter. Signing up to an event is a great way to keep motivated and is even more fun when done with others. If you want to join them then sign up using the links below or if you have one to add to the list drop me an email and let me know. I would be particularly interested in any obstacle course races where we can work as a team. You don't have to be the fittest or strongest to take part in an event, it's all about maybe just stepping out of your comfort zone and having a go. Don't forget your bootcampers and myself are always there to support you both before and during the event itself. Our current timetable will run until 30th April 2019. 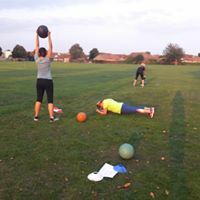 BODYBLAST BOOTCAMP 6:30pm MONDAYS Privett Park, Gosport, TUESDAYS AND THURSDAYS Bath Lane Recreation Ground, Fareham, WEDNESDAYS Portchester castle, Portchester and Privett Park, Gosport. A 45 minute outdoor session designed to challenge you whilst still being enjoyable. Suitable for all levels of fitness, ages, shapes and sizes, exercises will vary from team work, to tyre flipping and bodyweight moves. METAFIT 6:15am FRIDAY Pulse Dance Cheer Academy, GOSPORT. This 30 minute High Intensity Interval Training workout (HIIT) incorporates intense periods of work with short recovery segments. This helps to give you maximum intensity whilst maintaining your exercise form. The bonus of this type of training is that it keeps your body burning fat even after you leave. You will finish feeling great and set for the weekend ahead.